The Human Pet has a neat new video with some interesting plot twists. We’re curious as to when we’ll find out more about the present, as the back story stuff is nice but we’re ready for more. Puzzle of the week: Secret Human Pet Code! Get your, um, Human Pet Decoder Rings! The code is: VMRLFFS 8:32 BWDJFVS. See this thread at the Unfiction forums for more details. Thanks to tips from Sylvia and molecularr, we know about the cool swag players are getting as part of the Monster Hunter Club. Also, how cool are these promos for the game by Dee Snider of Fangoria Radio (and of Twisted Sister fame)! There’s a live event planned for the Meigeist ARG! It will take place on February 18th in Bristol! We’re still very much loving Meigeist from afar, which is kind of sad, because we’d really love to be playing this one. The Vanishing Point game had a chat with 42 Entertainment but, alas, it was postponed. Another chat took place… yesterday, but we talked about it like it would be taking place… tomorrow. to be fair, we did record on Sunday, so technically, we’re right on both counts. There was a game called Beast of Black River. It’s over now, because the puppetmaster has met an untimely (fake, we hope) death. Well, at least it didn’t implode. The Million Penguin Project is an ambitious multi-author novel project that is ahead of its time. Read the site and form your own opinion if you don’t believe us. We welcome new writers at ARGNet. You might be surprised at who we managed to sign on. TINAG. This Is Not A Game. What does it all mean? Lucky for you, we have authorities on the topic who are more than happy to talk about it. Viral marketing and the skeptics it’s creating. Sean brings in news of a stealthy Canadian hair products viral marketing campaign that had people arching eyebrows right from the get-go. molecularr sends in a great update about Monster Hunter Club that will be part of an update article at ARGNet later this week. Sylvia updates us as Meigeist and MHC continue to impress fans and players. As the netcast was running a tad long, we tried to rush this through. We did mention ARGFest (all panel members will be attending) and the Colts’ win at SuperBowl XLI. 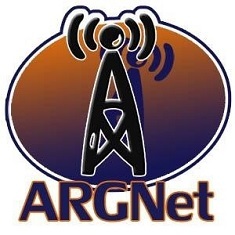 There’s also a super secret announcement about ARGFest and the Netcast series. Seriously, make Nicko a regular contributor if at all possible. Quite frankly I’m disgusted with the attitude of the panel this week. It seems that they consider themselves the ‘authority’ on the ARG genre and therefore they have free reign to make biased, uneducated decisions about matters they know nothing about, then tell the whole world about their jaded opinions. I think it’s sad that TIAG talks of perplex city have taken over this episode, and detracted from the glory that is endgame, and congratulations for Andy. Personal gripes with puppetmasters should be taken up with puppetmasters. And as for the section on deus city..I’m not even going to bother asking if you know both sides of the story. I think an appology is needed. It’s very easy to criticise, but it’s ironic that the panel seem to hold the authoritive opinion, when they’re always so increadibly wrong. Do any of them actually play any of the games mentioned this week? It’s a bit sad that the week an ARG gives away £100,000 to a player you spend 20mins slagging off Perplex city without highlighting any positive aspects of it. You’re not trying to ‘dump’ on Mind Candy however can’t think of a single good thing to say and start talking about the date websites were registered (what a dull thing to talk about); it all struck me as a little humourless. Great point from Larry Eisner there. It’s the same old song and dance from these ‘authorities’. I’m afraid to say that I have only just started reading Dave’s book Through the Rabbit Hole. I think it provides a great analogy for TINAG, ARG, and other information about the genre.